Our Build it stores offer a comprehensive range of SABS approved treated and untreated timber products for domestic or commercial use. Varying lengths and dimensions are available and some of our stores will cut it to size. Treated and SABS approved structural timber can be used for all government approved projects, along with trusses, rafters and brandering for general construction. Your local Build it may have purpose-made trusses manufactured to your specifications on request. Our stores also stock treated poles that may be used for structural as well as fencing purposes. 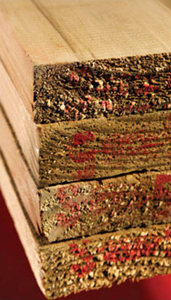 Laminated beams for specific requirements may be ordered on request.